SEATTLE — Amid the fierce partisan politics that dominate Congress, Alaska Republican Sen. Lisa Murkowski and Washington Democratic Sen. Maria Cantwell have displayed a rare ability to find common ground. For more than a year, they labored to piece together an energy bill that sailed through the Senate before foundering in the final days of this session. Next year, though, the two will be on opposite sides of a great policy divide, as Congress again considers whether to open the coastal plain of the Arctic National Wildlife Refuge to oil exploration or continue to protect an area conservationists view as a crown jewel of America’s public lands. The old fight is back, and fresh, because of the presidential election victory of Donald Trump, who will preside over a Republican-controlled Congress. In his campaign, Trump advocated boosting U.S. oil production as he spurned the science linking climate change to fossil fuel combustion, all of this whipping up hopes among his industry supporters. He would be expected to embrace any legislation to drill in the refuge that makes it through Congress. And, his executive choices such as Oklahoma Attorney General Scott Pruitt — an ally of the fossil fuel industry nominated to lead the Environmental Protection Agency — will try to pare back federal regulations to speed energy development. For Alaska politicians, the decadeslong quest to open the 1.5 million-acre coastal plain to drilling has been as elusive as finding the Holy Grail. 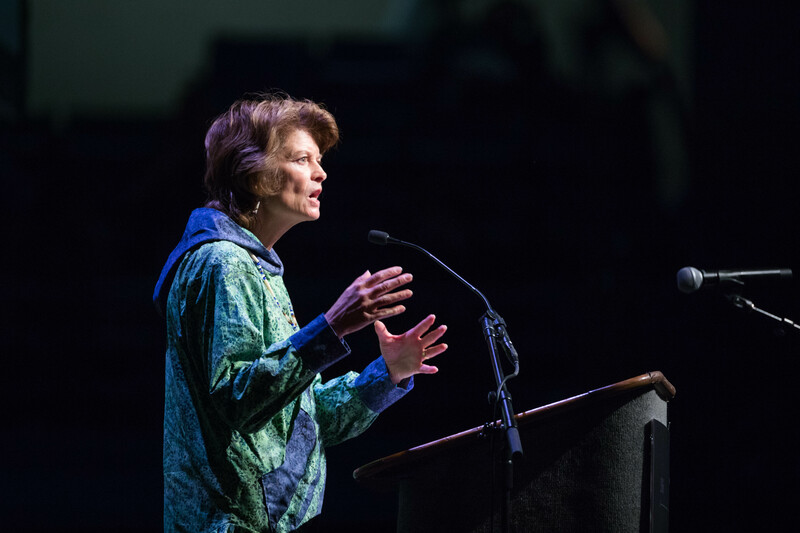 It now takes on new urgency as the state economy is shaken by low oil prices and a steep decline in crude flowing through the Trans-Alaska Pipeline. Conservationists view refuge protection as a top priority in 2017, and they look for renewed leadership from Cantwell, the ranking minority member on the Senate energy committee. The coastal plain by the Beaufort Sea is critical to caribou and other wildlife, and arguments for keeping out the oil industry have an added edge as the Arctic undergoes new stresses from climate change. 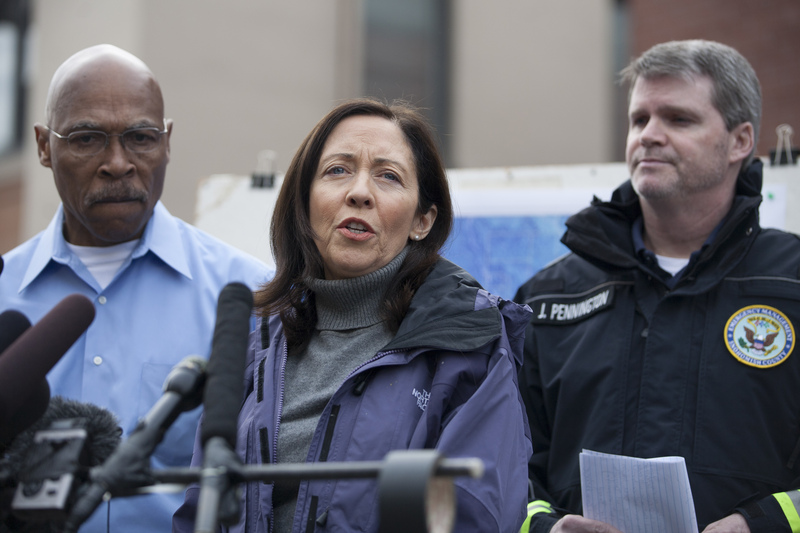 “Maria Cantwell, she is an incredible champion on the issue that we care about, whether it is offshore drilling or climate change or protection of public lands,” said Athan Manuel, the Sierra Club’s director of lands protection. Congress created the refuge in 1980 as part of sweeping public-lands legislation — signed by President Jimmy Carter — that put conservation protections on more than 100 million federal acres in Alaska. Lawmakers also recognized the oil potential of the coastal plain, where aboveground seeps can be found. But they prohibited leasing or other development unless authorized by a future Congress. In the decades that followed, Alaskans joined with the oil industry to make repeated efforts in Congress to open the coastal plain. The votes always fell short. To date, only one well has been bored within the coastal plain. That was by Chevron and an industry partner, in 1985, on an inholding held by an Alaska Native corporation. The results of that drilling remain one of the U.S. oil industry’s most tightly held secrets. The federal government, through analysis of key sandstone formations, has assessed the oil potential. The U.S. Geological Survey conducted a study of the coastal plain that was submitted to Congress in 1987, and another one in 1998. The 1998 report found the most likely scenario would be the discovery of 7.7 billion barrels of recoverable oil within the plain. There could be more than that. The report noted a 5 percent possibility of as much as 11.8 billion barrels, an amount that, if pumped over time, would rival the total output of the giant Prudhoe Bay oil field during its first 38 years of operation. The refuge has conventional oil-bearing formations, so any crude found could be tapped with a fraction of the wells that must be drilled to produce from the shale oil rock fields in the Lower 48, according to David Houseknecht, a U.S. Geological Survey geologist who worked on the 1998 study. This would help to offset some of the higher development costs in Alaska. But Houseknecht emphasized that, without exploration, it is very hard to project how much oil lies underneath the coastal plain. “We do the best we can, but it’s an estimate with a lot of uncertainty,” he said. 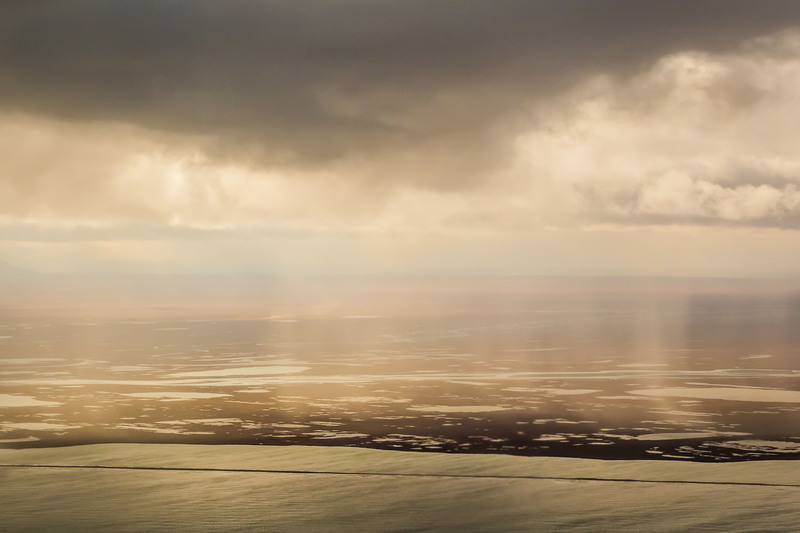 A major oil strike on the refuge would boost an Alaska economy that boomed in the decades after the 1968 discovery of oil in Prudhoe Bay, but is now experiencing the downside of petroleum dependence. The trans-Alaska pipeline that connects the North Slope to the port of Valdez now carries only a quarter of its former peak crude volume. That, combined with lower crude prices, has slashed the state revenue stream, which is largely generated by oil taxes and royalties, and sent the economy into what a state economist earlier this month described as recession. Legislators have reduced spending, and, Gov. Bill Walker, in an unprecedented move, cut this year’s dividend payments sent to all Alaskans from the state’s $56 billion oil-wealth savings account known as the Permanent Fund. All this ramps up pressure on Alaska’s congressional delegation to make another push to open the refuge. “ANWR is a big part of Alaska’s energy and economic future and Lisa Murkowski will fight to keep it that way. Always,” declared a Murkowski campaign ad earlier this year. Environmentalists note that to meet the 2015 Paris Agreement targets for limiting global warming, some oil must be left in the ground. And, even without moving into the refuge, the U.S. oil industry has plenty of other options. In the Lower 48, fracking — a process that fractures rock to release oil and gas — has unleashed vast new reserves, such as the Permian Basin in Texas that the Geological Survey in November estimated at 20 billion barrels, the largest estimate of continuous U.S. crude in the agency’s history. There also are other oil opportunities in Alaska. Outside of ANWR, oil exploration during the past 20 months has shown promising results. A consortium of companies last year announced a significant discovery of at least 500 million barrels and potentially up to 3.8 billion barrels of recoverable oil in a North Slope area. Two months ago, Caelus Energy Alaska announced a find estimated to yield at least 1.8 billion barrels. “There is a lot of activity happening right now … in less-sensitive areas where exploration has produced finds,” said Nicole Whittington-Evans, Alaska regional director for The Wilderness Society. She is a veteran of numerous trips to the coastal plain, which environmentalists say would be irrevocably altered by oil development. The coastal plain is a vital calving ground for the Porcupine caribou herd and a summer stopover for migratory birds. It’s also Alaska’s most important onshore denning area for polar bears. Most polar bears den on offshore ice. But as climate change intensifies, and more sea ice melts, the onshore areas are expected to become increasingly important to polar bear survival. “The Arctic refuge is a national treasure, and the coastal plain is its ecological heart,” Whittington-Evans said. Conservationists hope a Senate filibuster, a delaying tactic of floor speeches that requires 60 votes to defeat, could shut down an oil exploration bill. To get around that threat, refuge proponents are likely to try to attach it to a broader spending bill that would be much harder to block. That’s what happened in 2005, when Stevens, wearing an Incredible Hulk tie, tried to add a drilling provision to a defense-spending bill. But Cantwell, donning a similar tie in the Senate cloakroom the night before, wrangled enough support to protect ANWR. 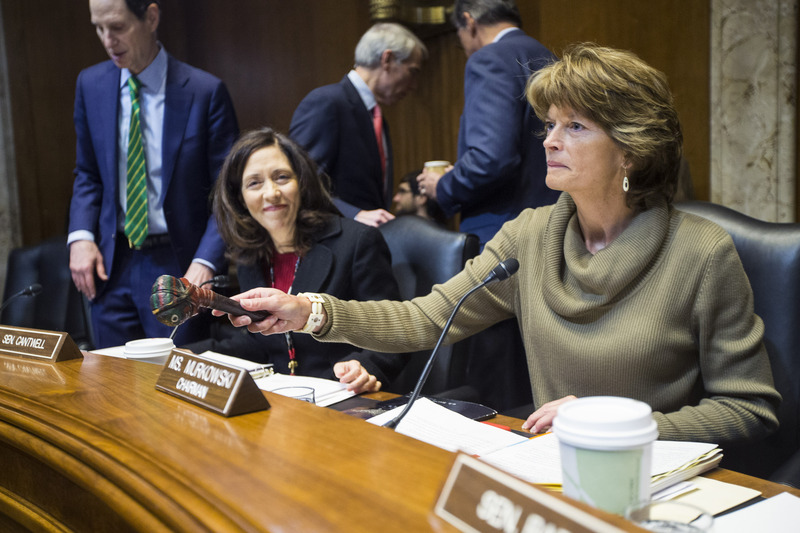 Murkowski could opt for a similar tactic in 2017, or refuge drilling proponents might try to attach the provision to another type of legislation — known as a reconciliation bill — that involves taxes and spending, and cannot be targeted by a filibuster. Whatever happens, Cantwell will be watching, ready for a fight that environmentalists hope can — again — keep drilling out of the coastal plain.